Marital property includes property acquired by the parties jointly during the marriage. This includes both real and personal property regardless of how it is titled. Property acquired during a marriage is presumed to be marital property. The court must divide the marital property between the parties as may appear just and reasonable, by making a division of the property in kind or by awarding the property to one party and requiring the other party to be paid such sum as may be just and proper to effect a fair division. A trial court has wide latitude in determining what part of jointly-acquired property shall be awarded to each party. However, all property acquired during marriage by the joint industry of the husband and wife must be fairly and equitably divided by the trial court. If the trial court’s division of property is shown to be an abuse of discretion or clearly contrary to the weight of the evidence, such division is subject to appellate review and modification. 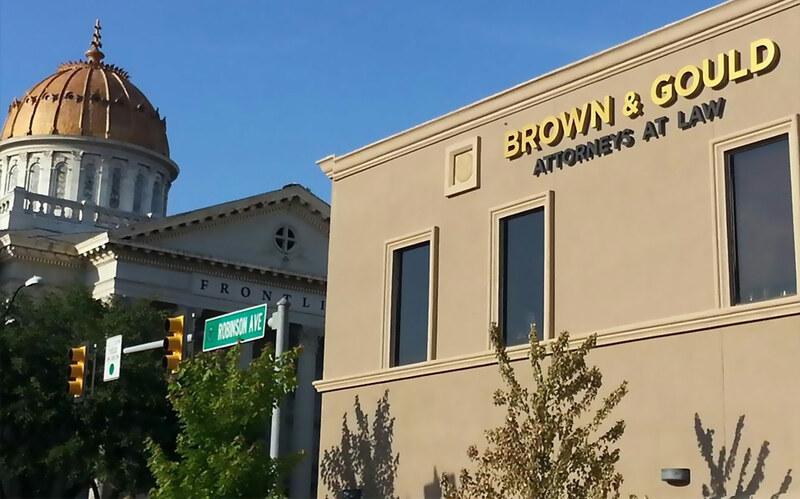 To speak to an experienced property division attorney in Oklahoma City, contact Brown & Gould, PLLC online or by calling (405) 235-4500 today. Separate property includes property owned by one spouse prior to the marriage which retains its separate character and status during the marriage because it is maintained in an un-commingled state. The identity of separate property can only be lost if it is commingled with marital property. Commingling occurs only if separate property is so confused, blended or commingled with community property that its identity is lost and the entire mass becomes community property, unless the community component is comparatively small. In addition to property acquired prior to the marriage, separate property can include property received byway of gift or inheritance during the marriage. Also, separate property includes property acquired during the marriage with the use of separate funds. Joint Tenancy Property – Is it Marital or Separate Property? In Oklahoma, the creation of a joint tenancy establishes a present estate in which both joint tenants are seized of the whole. While that fact might suggest that property held in joint tenancy is always marital, this is not true. Instead, the controlling question in determining the presence of a joint tenancy is the intention of the parties. If the record shows that title was passed without intent to invest the spousal grantee with an interest in the property, but rather for a purpose that is clearly collateral to any intended change in the existing ownership regime, the conveying marital partner will not be deemed to have made an unconditional, presently effective interspousal gift of separate property. Once evidence is presented showing a lack of donative intent, the burden then shifts to the donee (grantee) spouse to prove the factum of a gift in praesenti. Therefore, the fact that property is titled jointly does not always mean that it is joint marital property. In fact, it may very well remain one spouse’s separate property.